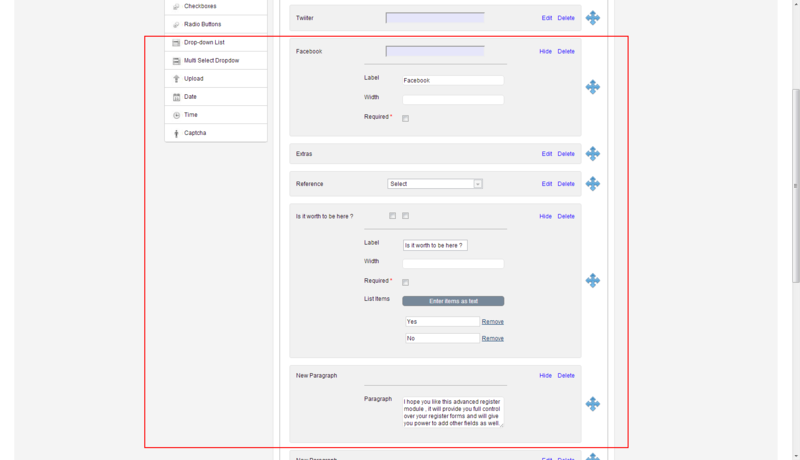 Advanced register form gives you full control over your register/signup forms. Make easy for your customer to signup and add more fields just by drag and drop in register/signup forms..
Now its give you ability to do changes on your register form accordingly to your business nature. 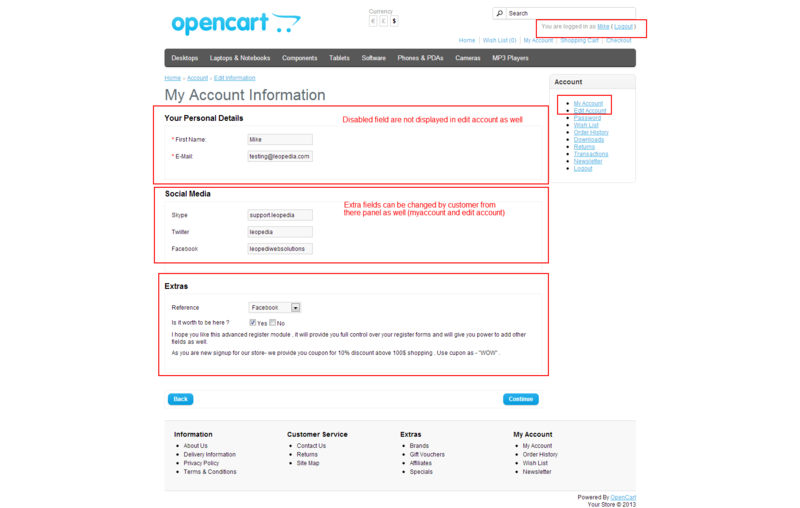 Disabled current fields which is not required in your business. 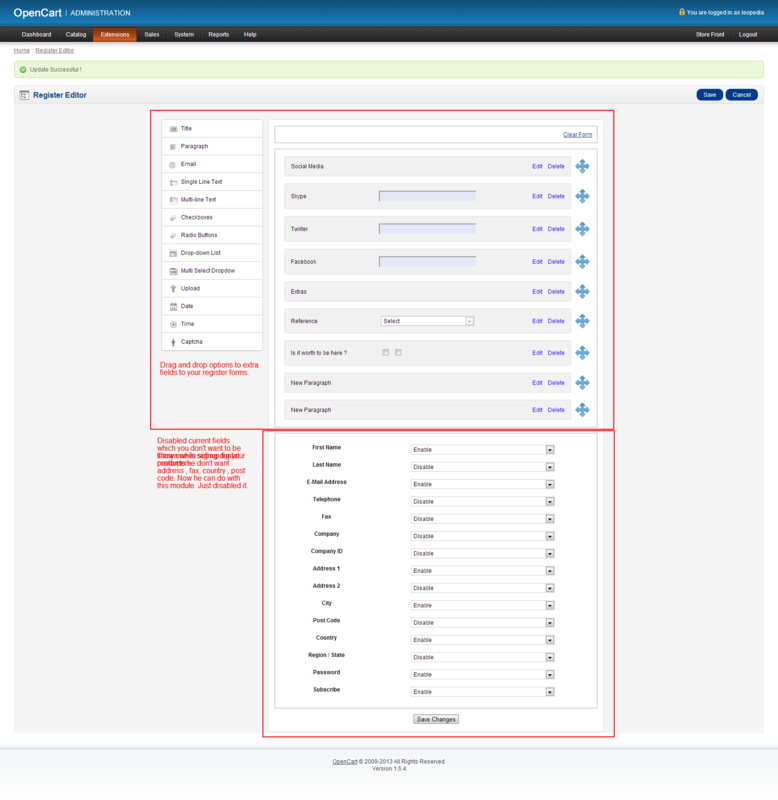 Add extra fields with drag and drop forms in just few minutes. 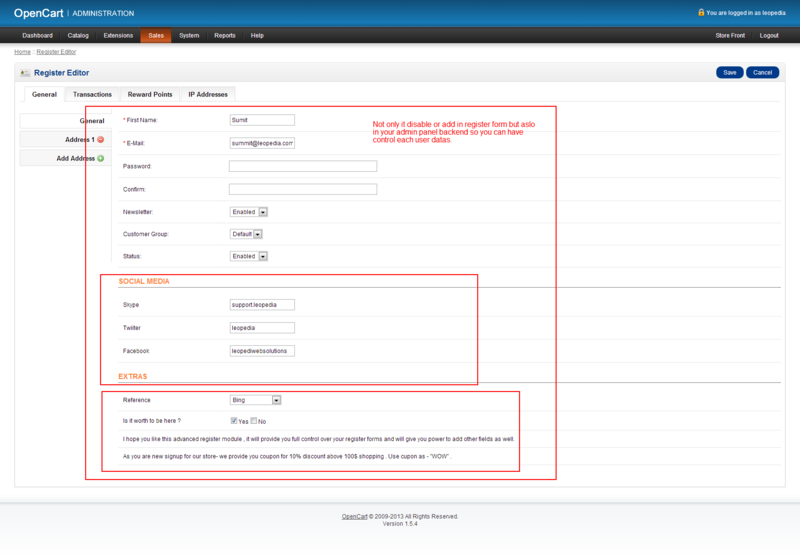 Admin will have ability to check and change customer forms details in there backend. All disabled field and extra fields added by admin will also be in user edit account so in future he can change accordingly. 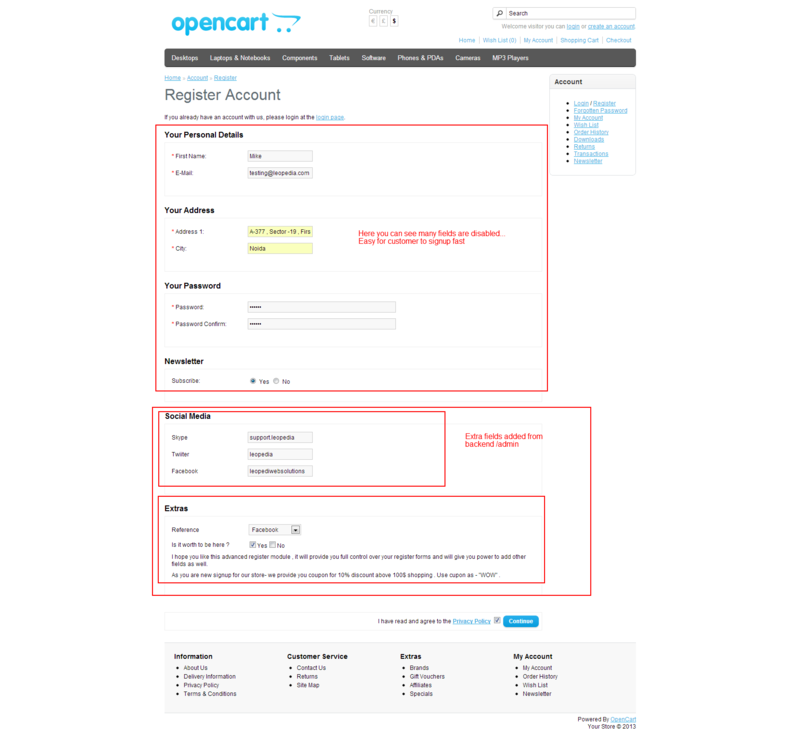 While checkout there is register form that will be also take changes accordingly form settings.